We do not usually pay much thought when we buy filters for furnaces. It does not seem interesting like a brand new LED set or an air conditioner. 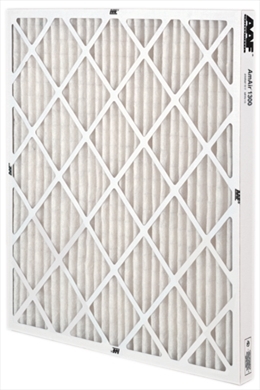 We do not realize that a quality filter plays a key role in problem-free operation of a furnace and air conditioner. These are parts that screen the air of various contaminants. A dirty filter will restrict flow of air and lead to host of problems. A collapsed filter will gunk-up the system. Originally, filters were made to protect the moving parts of the furnace itself. However the modern designs do not require this output from a filter. They are made to prevent harmful particles from cycling back into the air that you would breathe. Here are the various options that are available in the market as furnace filters. Use –and-throw fiberglass filters: These furnace filters are made of 1″-thick spun fiberglass. It screens the air of larger particles like dust, lint, and debris from getting into your system with the air stream. It has a MERV (Minimum Efficiency Reporting Values) rating of 2 or 3. They are quite cheap to buy and perfect for people who live in rented residences. However they are not effective in screening allergens, pollens ad microbial beings. Disposable electrostatic:These are made of self-charging electrostatic cotton or paper filters that attract and trap small particles. They have a MERV rating of 10. If you have pets, children, sick people or smokers in the house, they are very useful. These are however expensive, especially if you buy in custom sizes. If buying popular size then these reasonable and effective. High-efficiency pleated –. These are made from deep 4-5″ pleated synthetic cotton. An advantage of these filters is that they are made on rigid metal grids. This prevents them from wobbling and fluttering. Thy have a MERV rate of 14-16. They can screen very tiny particles. They are very suitable to homes that house patients with respiratory problems or autoimmune disorders. These are quite expensive and mainly found in hospital.